During the 61st Grammy Awards on Sunday, Feb. 10, a new trailer for Disney's live-action Aladdin film proved the beloved character has stayed true to his cartoon predecessor. When Aladdin rubs the lamp in the trailer, Smith pops out of an otherworldly cloud and says, "You really don't know who I am?" "Bring me the lamp", he orders, his loyal pet parrot perched - silently for now - on his shoulder. Another tweeted, "In-dustrial Light and Magic, born and raised, In a computer is where I spent most of my days". 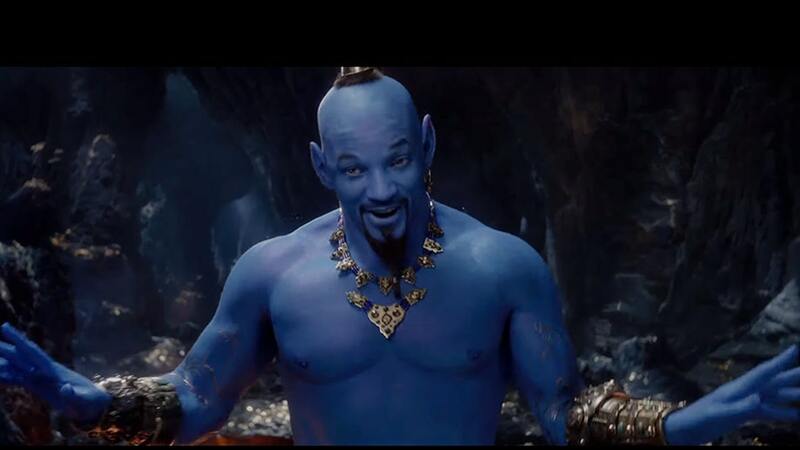 Some fans claimed that Will Smith's depiction of the Genie has ruined their childhoods while others said that he has caused them nightmares. The character was originally played by the late Robin Williams in 1992. The new TV commercial, dubbed a "Special Look" at the remake, shows us the new Genie in all his glory and he certainly looks a lot more blue this time. After all, was there even the slightest chance that a blue Will Smith wasn't going to look at least a little ridiculous? So, here it is: the good, the bad, and the ugly when it comes to Will Smith's genie in the live-action 2019 Aladdin remake. As he wrote in a post on Instagram, "I told y'all I was gon' be Blue!" Mena Massoud stars as the street-rat-with-a-heart-of-gold Aladdin, with Naomi Scott as the lovely and determined Princess Jasmine. This list specifically focuses on those from the Walt Disney Animation department, so sorry Brave Little Toaster fans, of which I'm one.